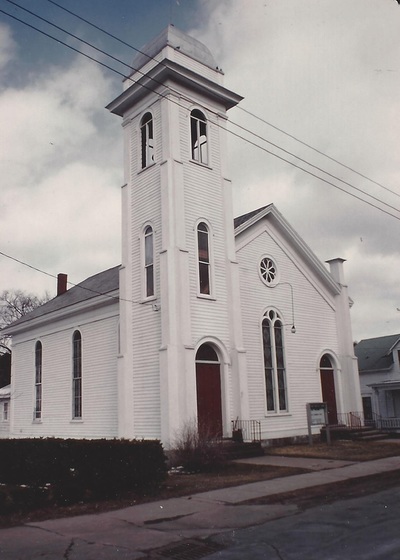 The First Baptist Church was organized on December 26, 1807 Its first meeting house was in North Caldwell (Lake George). In 1876 construction started on a large church on Main Street, which was dedicated on June 10, 1877. 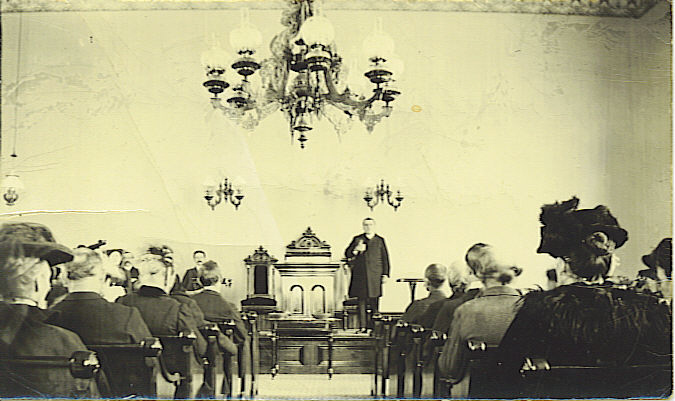 Around 1888 a baptistry was added beneath the speaking platform in the sanctuary. 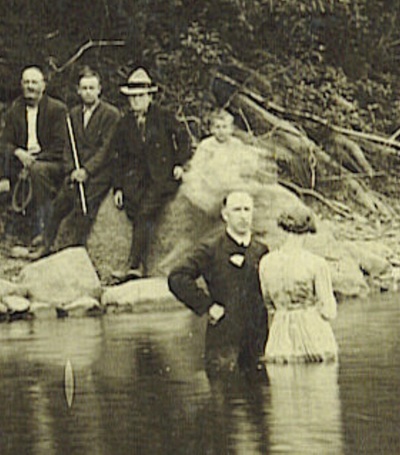 Prior to that immersion baptisms were performed in the Schroon River or Echo Lake. 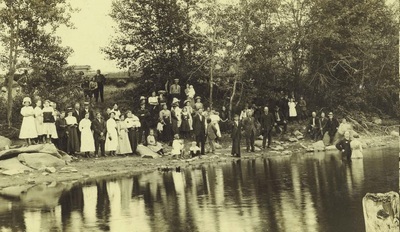 (One such baptism, of fifteen candidates, was through a hole in the ice near Osborne Bridge, according to an 1881 diary). The steeple on the original structure was destroyed by lightning in 1917. 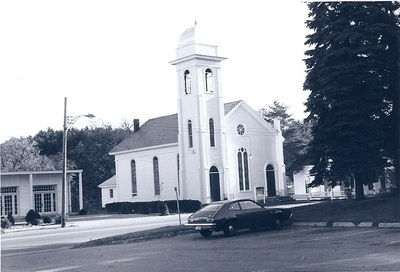 It was replaced with a dome over the belfry. 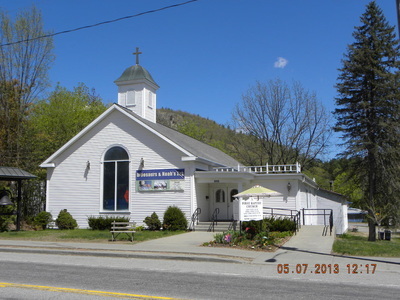 The building burned to the ground in 1998 and was rebuilt that same year. Among the clergy serving the church were Winfield Scott Warren, O. Lee Warren and Charles A. Johnson. The Baptist Church was built in 1876, dedicated on June 10, 1877. 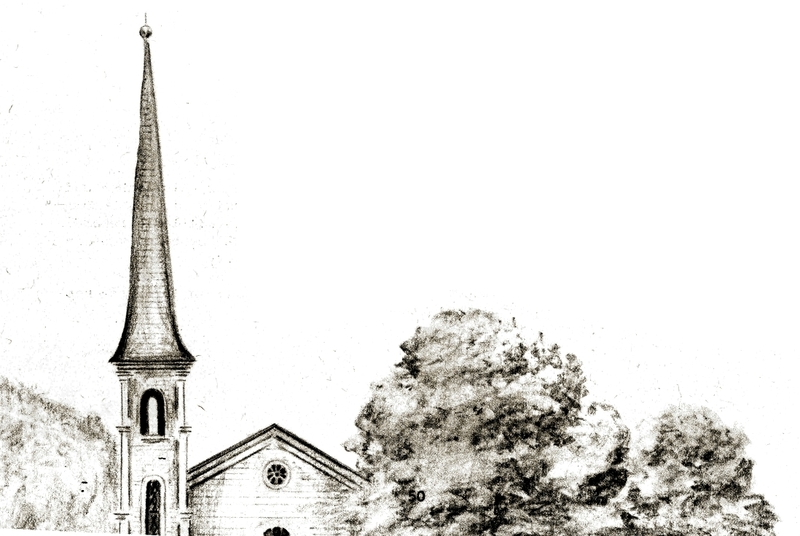 Originally, the church had a steeple, as shown in the sketch. 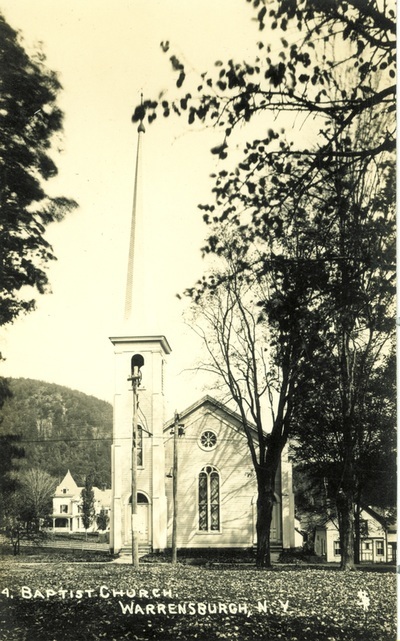 In 1917, during a severe electrical storm, the steeple was badly damaged and, when repairs were made, it was decided to replace the steeple with a dome.